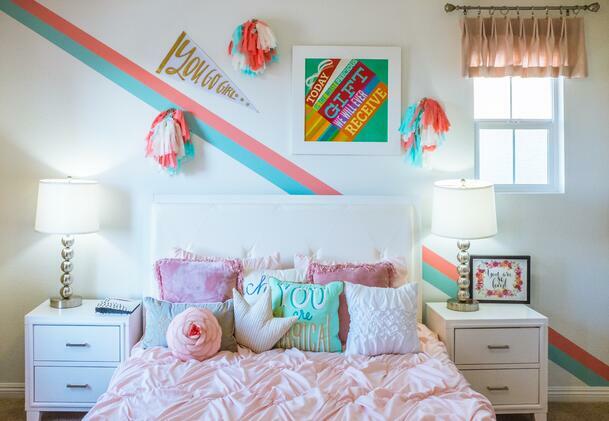 Whether you are welcoming a new bundle of joy to your household, or you have a child outgrowing their bedroom, creating a functional and stylish kids’ bedroom is crucial to helping them grow and flourish. Children do not stay small for very long and before you know it, their bedrooms, (which are often smaller than the master bedroom in the household) requires intelligent solutions for storing toys, books and their growing clothing collection. It also requires a delicate balance between what mum and dad find stylish and that race car bed your young one just has to have and will probably outgrow in a year. 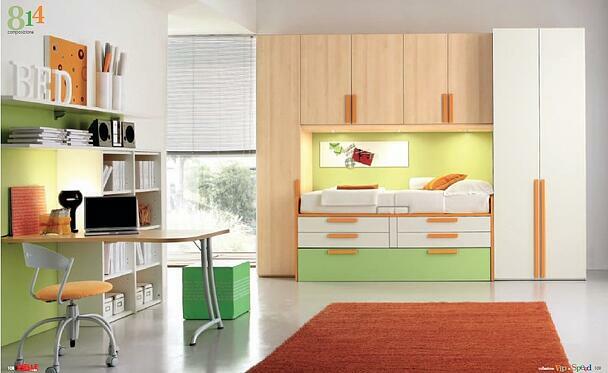 Here are some general guidelines for designing a room that will grow with your child. 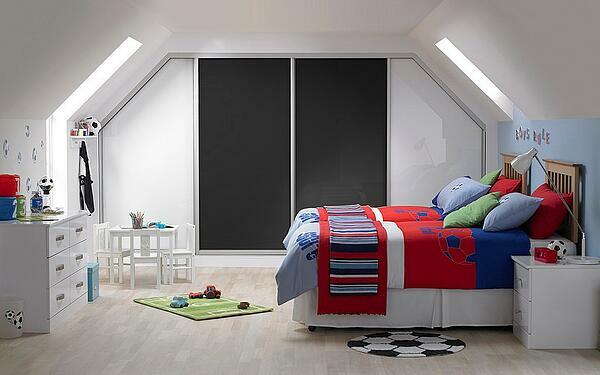 Although it may be tempting to go with a bright exciting colour, bedroom rules apply - even to kids rooms. A calm neutral tone will help make for a better nights sleep. I know that every child wants their favourite cartoon character on the wall, but having minions staring at you while you sleep isn't always great (speaking from experience here, but that is a story for another time ;) ) and your child may out grow this pretty fast. Stick to a neutral wall paper and maybe get a poster of their favourite cartoon. For this reason we suggest avoiding the childish car bed base, because even though that seems super cool today, it may be embarrassing to bring friends over in a few months time when the car bed has been out grown. Go for a good quality bed, perhaps one that has a slide out bed underneath for sleep overs. Double beds also avoid having to replace the single with a double when they get older. Due to how fast children grow up, they tend to move on from one fad to the next pretty fast. Whether it’s the latest superhero film girl band that’s been in the charts for the past year. The chances are it’s just a fad and likely to change over time. This again means that cementing your child’s adoration for this thing in their room can be a risky business. Rather focus on your child's hobbies, whether it be cheer-leading, music or maybe even something like astronomy, think about a way you could include that passion in the room's decor. As your child grows up they will need a space to draw, write and eventually do their homework. A well lit, well organised and dedicated spot in their room will help improve concentration and also decrease the chance of clutter storing up all over the room as they work through projects and homework. When making the decision of what storage solution to choose for a child’s room, parents often opt for standard, free-standing wardrobe and furniture options. However not only do free-standing wardrobes often limit the amount of space you have in a room, but they can be safety hazards to your children. Thankfully, you can sleep soundly at night knowing that these days you can purchase stylish furniture and storage solutions which will remain securely mounted to your walls once installed. As well as being safely mounted to your wall, there are no gaps and no wasted space, meaning there’s plenty of room to keep clothes, toys and accessories organised and tidy. Safety is a key message reiterated throughout our values and at DM Design we have made every effort to ensure that even the minor details have been considered for our customers’ safety. All our sliding doors are constructed so that they do not become derailed from the tracks and are fitted with rolling mechanisms that are quiet and light in operation. This, when combined with shatter-resistant mirrors, means you can be confident that your furniture is safe for your children. Not only are we safety-conscious, we are passionate for designing contemporary and sleek solutions, customised to fit your family’s lifestyle requirements. We will work with you to create versatile arrangements, which can be transformed in years to come when your child grows into a young adult. From creating adaptable chill-out areas that can turn into comfortable beds for sleepovers, or for practical shelves that can be transformed into study areas in years to come, we will consider every detail, so you don’t have to. As well as this, it is worth noting the value that our furniture will add to your property, should you decide to move home in the future. Practical and efficient storage solutions add a feeling of luxury to an individually designed bedroom and are extremely desirable to potential buyers. For more information on how we can create a safe and inspiring bedroom for your child to grow up in, why not book a free design consultation today?